What’s the definition of a disregarded entity? A disregarded entity is an eligible entity that is classified under § 301.7701-3(b)(1)(ii) as a disregarded as separate from its owner for federal income tax purposes. Disregarded entities include single-member U.S. Limited Liability Companies (LLCs) and certain foreign companies with a single owner. Form 5472 reporting requirements for a foreign-owned U.S. LLC. Effective for tax years begging on or after January 1st, 2017th, a single-member LLC that is a disregarded entity for federal tax purposes, must file an information return on Form 5472. A new Part V has been added to Form 5472 to suffice the report. The entity is required to list all reportable transactions, as defined below, on an additional sheet attached to Form 5472.
Who must file Form 5472? Form 5472 must be filed if a reporting corporation, including a foreign-owned single-member LLC, had a reportable transaction with a foreign or domestic related party. Reportable transactions include any amount paid or received in connection with the formation, dissolution, acquisition, and disposition of the entity. According to Treas. Reg. 1.482-1(i)(7), a reportable transaction also includes any sale, assignment, lease, license, loan, advance, contribution, distribution, disposition or any other transfer of any property, whether tangible, intangible, real, personal or money. The performance of any services for the benefit of, or on behalf of, another taxpayer may also qualify as a reportable transaction. In essence, any dealing between the LLC and the foreign owner is a reportable transaction. What is the due date for filing Form 5472? If the owner of the disregarded entity is otherwise required to file a U.S. tax return, Form 5472 must be attached to and submitted by the due date, including extensions, of the underlying income tax return. If no U.S. income tax return is required to be filed, Form 5472 must be attached to a pro forma Form 1120 “U.S. Corporate Income Tax Return” and sent by the due date, including extensions, applicable to U.S. corporate income tax returns. However, a disregarded entity that has been dormant the entire year, and no reportable transactions occurred, is exempt from making a report on Form 5472. Other reporting and recordkeeping requirements. The disregarded entity must have an Employer Identification Number (EIN). A foreign-owned disregarded entity that is required to file Form 5472, must secure an EIN by filing Form SS-4 with the IRS. The EIN applicant must check the box “Other” for line 9a and write “Foreign-owned U.S. disregarded entity-Form 5472” as a reason for the application. The disregarded entity may need to file FBAR. Pursuant to 31 CFR 1010.350(b)(3), a foreign-owned U.S. LLC may also need to file a Foreign Bank Account Report (FBAR). The FBAR reports certain bank and financial accounts maintained by the entity with a bank located outside the United States. The single-member LLC must keep proper records to support transactions. Treas. Reg. 1.6038A-3, enforces strict recordkeeping requirements on foreign-owned U.S. disregarded entities. The books and records requirement stands even if the entity has neither a U.S. source income nor a U.S. income tax return requirement. Need help with Form 5472? 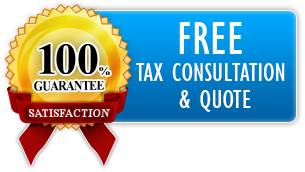 Do not hesitate to contact us should you need more information concerning any Form 5472 matters. We provide a free consolation aligned to your particular circumstances. If required to file, our Form 5472 fees start as low as $150.00! Sign up now to start Form 5472 application process.